Mansoor Ijaz says the real danger inside Pakistan is its powerful spy organization, Inter-Services Intelligence—and that an even more notorious outfit is an ISI-affiliate called S-Wing. Questions about the ISI's role in Pakistani society have intensified in the aftermath of the U.S. raid on Osama bin Laden's Abbottabad compound, where he had been hiding in plain sight for the past six years. Further doubts about the ISI’s intent and motives were raised in a Chicago courtroom last week when witness testimony linked the ISI to the Pakistani terror group, Lashkar-e-Taiba, that allegedly carried out the 2008 Mumbai terrorist attacks. One hundred and seventy people died in that three-day siege of India's largest commercial hub. The finger of responsibility in these recent events often points to a shadowy outfit of the ISI dubbed the S-Wing. A notorious group of operatives, the S-Wing is made up of active ISI officers, recent retirees, and plain-clothes civilians with highly specialized training—all dedicated to protecting and preserving Pakistan's territorial integrity using any method, at any cost, with no regard for collateral damage. As black-ops units go, it is about as thuggish and ruthless as is possible, without being a criminal organization. That is why the S-Wing should be declared a sponsor of terrorism under the “Foreign Governmental Organizations” designation by the U.S. State Department. It no longer matters whether the ISI is willfully blind, or explicitly complicit, in the murderous plots attributed to the S-Wing, which the ISI routinely denies any knowledge of or responsibility for. S-Wing must be stopped dead in its tracks before immeasurable harm comes from the missionary zeal of its agents, no matter how misguided their mission may be. What has become clear in the weeks since bin Laden was shot dead on Pakistani soil, and a nation stood shocked and humiliated, is that the people of Pakistan are not America's enemies. What has become clear in the weeks since bin Laden was shot dead on Pakistani soil, and a nation stood shocked and humiliated, is that the people of Pakistan are not America's enemies. They know less than we do about the machinations of their spymasters, and are powerless to do anything about it. Neither is Pakistan's incompetent and toothless civilian government America’s enemy, even if its politicians and officials love to line their pockets with our taxpayer dollars while disingenuously shielding the ISI from public scrutiny. The enemy is the ISI—it runs Pakistan from the shadows like a puppet master. The ISI is a danger to civilized societies everywhere, because it nurtures and breeds hatred among Pakistan's Islamist masses, and then uses their thirst for jihad as a foreign policy sledge hammer against Pakistan's neighbors and allies, often for no purpose besides just creating chaos. Its financial, logistics, and intelligence support of myriad jihadist groups in Kashmir thrice brought India and Pakistan to war—once a near-nuclear confrontation. Its S-Wing planning and logistics support for Afghanistan's Taliban from Pakistani soil has so muddied the waters in Afghan-Pakistan relations that President Hamid Karzai turned to India to counterbalance Pakistan's negative influences on his country. War, against both its neighbors, may be big business for Pakistan's army and intelligence organs, but the damage to civil life is nearly catastrophic—and it must now stop. That the ISI even operates a special unit like the S-Wing to do the nation's dirty work demonstrates Pakistani state malfeasance in a manner that can no longer be ignored, compromised with, or tolerated by the U.S. government—indeed, by any government anywhere. What's worse, there is a growing likelihood that the ISI no longer controls the monsters it has created within its highly insulated and cellular organizational structure. The time has come for America to take the lead in shutting off the political and financial support that gives life to an organ of the Pakistani state dedicated to undermining global anti-terror efforts. The ISI embodies the scourge of radicalism and Islamist terror that emanates from the soil it runs roughshod over. It defies common sense that a country that produced the Muslim world's first Nobel laureate in 1979, a president of the International Court of Justice at The Hague in 1970, and a rock-star musician in the 1990s, can allow the thuggery and criminality that nurtured Khalid Sheikh Mohammed's evil genius, harbored Osama bin Laden and other al Qaeda criminals, sold its nuclear secrets for profit, and murdered its brightest democracy-loving politicians, to define its identity as a nation. We must help Pakistan by ending the ISI's reign of terror over its own citizens, and giving the ordinary people of Pakistan a chance to take their country back from the thugs who rule over them. 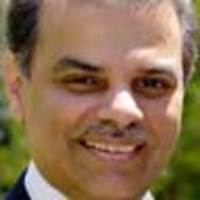 Mansoor Ijaz, an American of Pakistani ancestry, negotiated Sudan's offer of counterterrorism assistance to the Clinton administration in 1997. He was also involved in the negotiation of the ceasefire in Kashmir between militants backed by ISI and Pakistan's armed forces and Indian security forces in August 2000.